Budget Struisbaai Accommodation – Browse Online For Your Family Holiday Accommodation in Struisbaai. We Have Listings For Bed & Breakfast, Self Catering And Cheap Family Holiday Accommodation In Struisbaai. 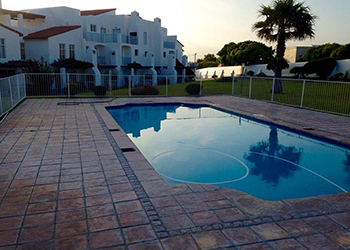 22 The Tides is located in an apartment complex situated in the coastal town of Struisbaai. Attractions in the area include Agulhas National Park, De Mond Nature Reserve, Cape Agulhas wine estates, and Struisbaai Beach. 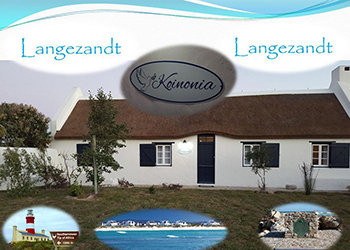 Koinonia is a charming self-catering house in situated the well-known Langezandt Fisherman's Estate in the coastal town of Struisbaai. The accommodation sleeps 10 guests in a 3-bedroom and a 1-bedroom cottage. Mermaid Guest House's name is derived from the Dutch slave ship Meermin which suffered from a mutiny by its slave passengers and eventually ran aground off the coast of Struisbaai in 1766. 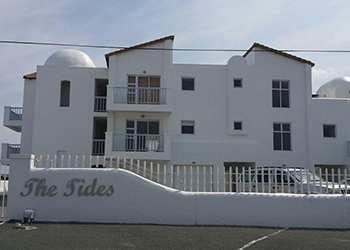 25 The Tides is a charming self-catering apartment located in a secure complex, situated in Struisbaai. Ideal for a family looking for comfortable lodging, close to the beach and away from city life.